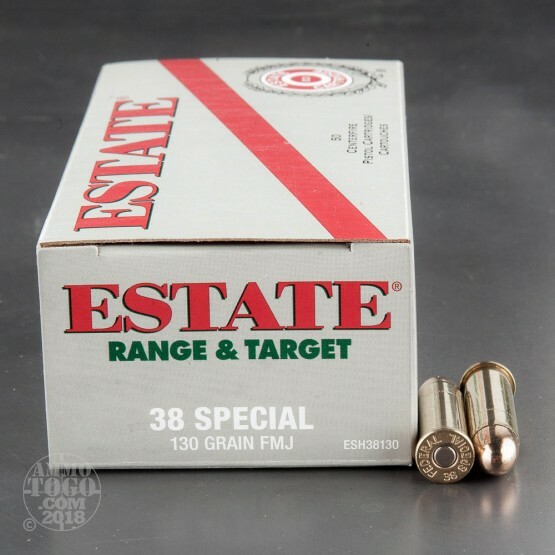 Packed in 50-round boxes, each case of this Estate Cartridge .38 Special ammunition contains a full 1000 rounds. 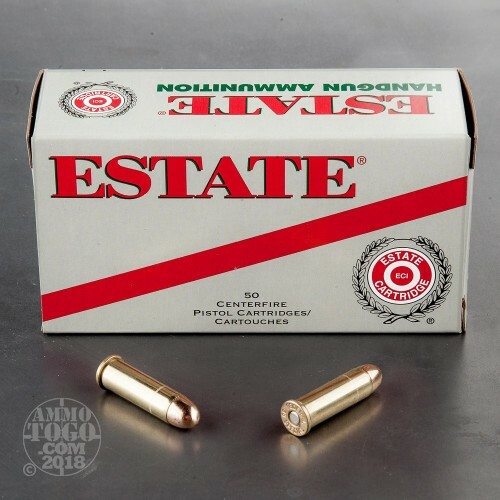 Perfect for the high-volume or budget-conscious shooter, this economically priced ammo is well-suited for range training and recreational plinking. Each new production cartridge is loaded with a 130 grain full metal jacket (FMJ) projectile. These FMJ bullets provide deep penetration, near zero terminal expansion, and reduced lead fouling. 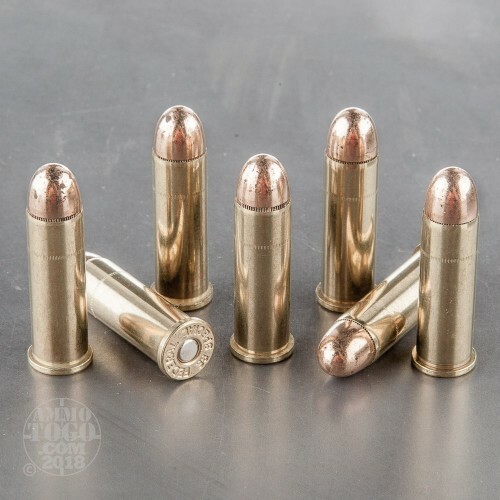 This ammunition is factory fresh, non-corrosive, boxer primed and features reloadable brass cases. Each round produces a consistent muzzle velocity of 1050 feet per second and a muzzle energy of 325 foot pounds. 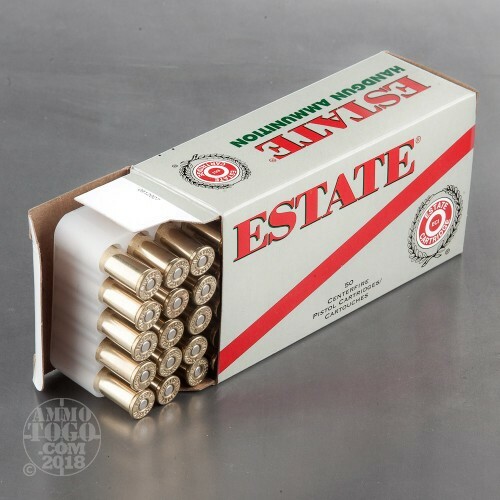 All Estate Cartridge ammunition is American-made by Vista Outdoors (a spin-off company of ATK). Vista Outdoors also owns other famous names in the shooting industry, including Federal, CCI, and Speer.